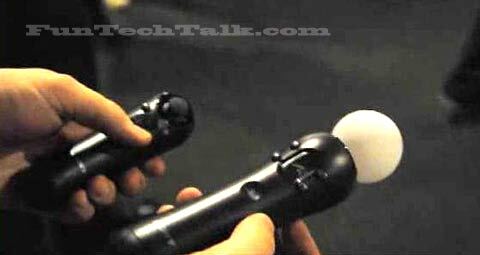 The PlayStation Move controller is hyped to be more precise with movements by the addition of advanced motion sensors. Players operate the controls by action buttons and an analog trigger, with a rumble sensation from at least one of the controllers. Players can also use the controllers with the PlayStation Eye camera for 3D simulation, placing the user “within” the game. Though the preliminary game play seamed a bit lagged and delayed. Those problems should be ironed out by release time for the new PlayStation Move Controllers.